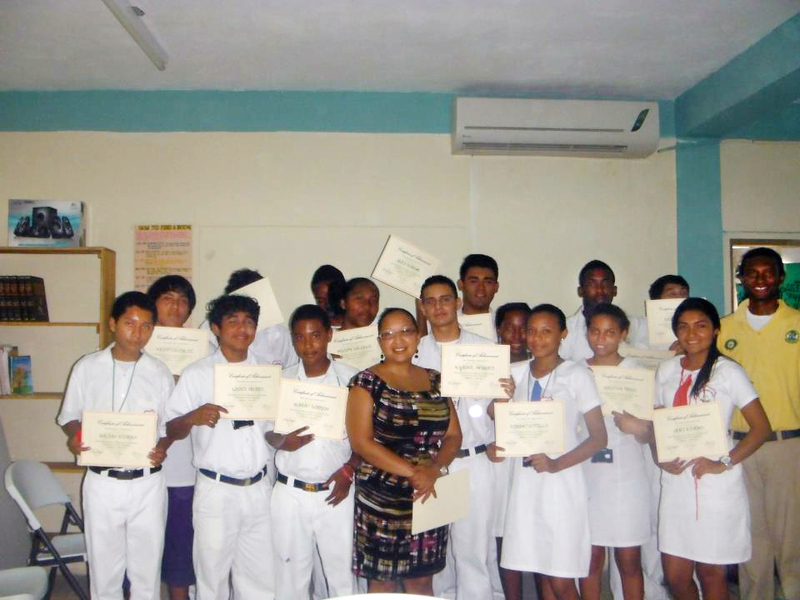 The National Drug Abuse Control Council (NDAC), San Pedro Branch awarded 22 students of San Pedro High School with certificates of achievement for successfully completing a twelve-week Youth Empowerment Program. The program aims to educate students on issues not only on alcohol and drug abuse, but also on the root causes that lead to the use of alcohol and drugs. The program took place once per week at the San Pedro High School campus. The program, which started in February, saw students engaged in interactive activities that dealt with identity, peer pressure, self-esteem, sexuality and bullying among others. According to Kristina Romero, the NDAC Coordinator for San Pedro Town, it is the goal of NDACC to incorporate such program in all schools on the island since it helps students at risk to identify what is really troubling them. Romero said that it also helps find positive solutions to the situations affecting them. According to NDACC, parents came in and agreed for their kids to attend the program, and thus it was a collaborative effort of the parents, school, students and NDACC. “We did interactive activities that showed them positive way to deal with real life situations,” said Romero. NDACC is also running a similar program at New Horizon SDA School and Ocean Academy in Caye Caulker. For more information about the program or for drug prevention education you can contact NDACC at [email protected] or call 227-0528/660-0029.